Track, edit, and report employee attendance. 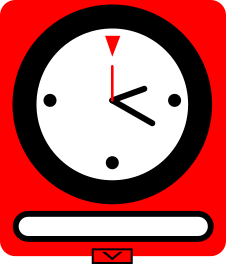 Simple Time Clock software, easy for employees to use and simple for employers to maintain. Check in and out with a single password entry. The current date and time is recorded to file ready for report. Time clock can be used by multiple employees, up to five hundred are supported. Manage all employee time sheets under one simple program. Add, edit, and report employee attendance with a few clicks. Print time sheet reports for any number of days. Password protect the Editor from unauthorized access. Simple TimeClock, a set of time clock software programs designed for employee time and attendance tracking on the PC. The TimeClock program records employee times and the TimeClock Editor allows employers to edit and report those times. Together they reduce the need for more expensive hardware time clock solutions. Simple TimeClock Network adds TCP/IP network software capabilities to the Simple TimeClock set of time clock software programs. Employees can check in and out at their desks using the TimeClock Client while the TimeClock Editor Server remains secluded on a password protected server. Four license types available.